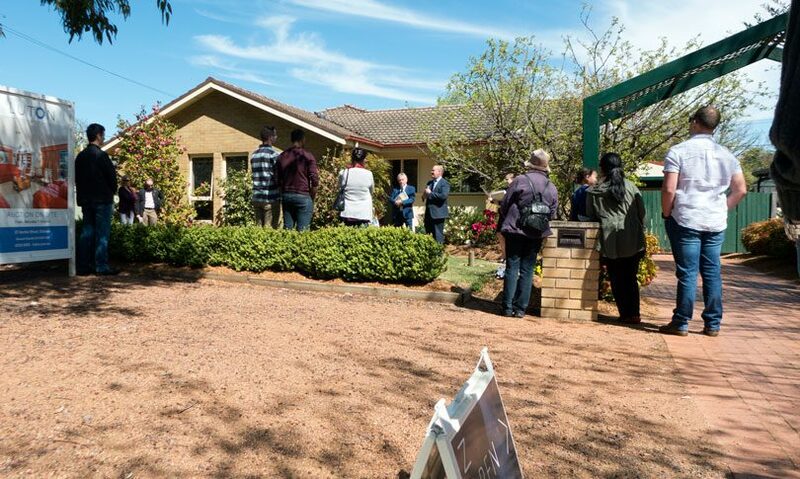 Last weekend people showed up at 10 am for the auction of yet another standard AV Jennings original style three-bedroom house. It was in very good condition with reasonable gardens. 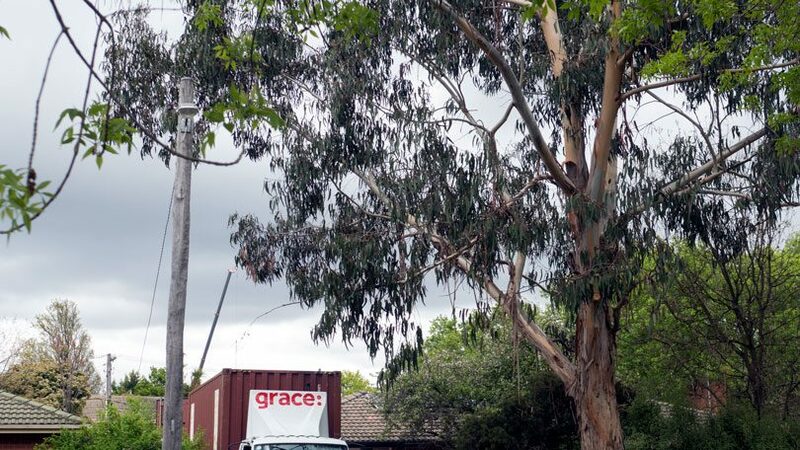 The interest was high given that just doors away there was a removalist van in the driveway of a similar house that recently went for the unexpected price of one million nine thousand. That sale and a couple of others had caught the neighbourhood out – seeing the prices jump by at least hundred and fifty thousand more than expected. Such is the world of real estate in 2017 in middle Dickson. A couple of weeks back, another home in middle Dickson went to auction by Luton. This was an extended house, now four bedroom and two bathrooms. The speculation was on whether it would hit the million. 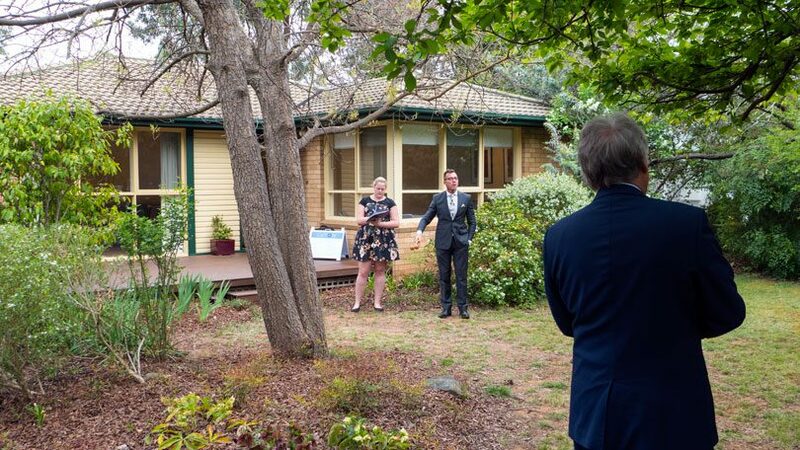 On the day two couples battled it out and with some skilled work by the auctioneer the price settle on $974,000. A good buy for a family as the house was in very good condition and ready to be re-occupied. Yes – the situation had changed in middle Dickson from that described earlier in the year. There now seems to be a sale more or less each week. Spring has sprung and Dickson is where the sales are at – for now. Meanwhile back at the sale for the day. There were four registered bidders. Curiously this did not include any of the bidders who missed out on the former sales. So we were starting with a new set of hopefuls. The house was also ready to be re-occupied and was in an attractive garden setting with several mature trees. And to add to the excitement, we had Richard Luton himself to conduct the auction. It was a slower than normal start with three bidders being very cautious – more so than usual. Richard knew how to charm the gathered crowd and how to put the right amont of pressure on the bidders. He’s good at this. In the end while three bidders became engaged, the other one kept his bat to himself. Was he going to make that very last second move? 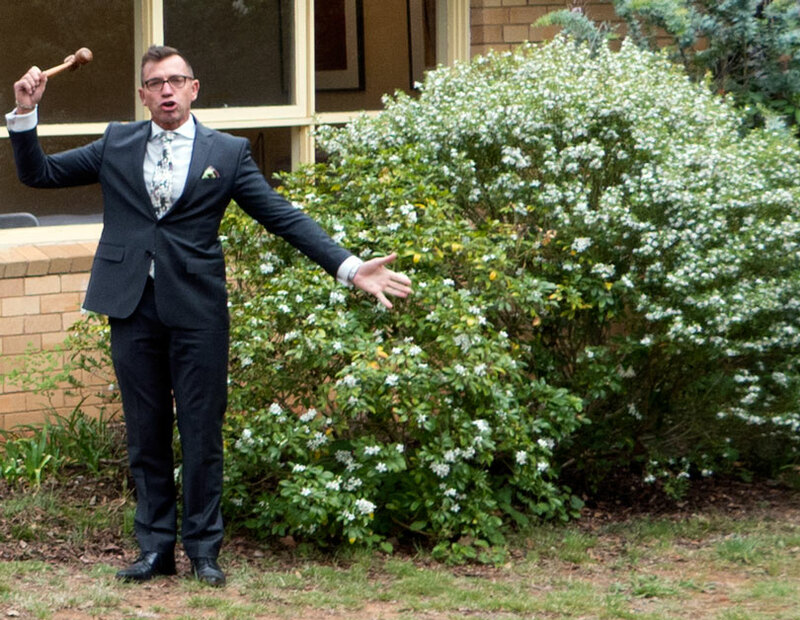 It did not take long for the auction price to stall around $876,000. This was below the reserve and Richard made several calls to move that price up over the reserve. It now came down to two bidders. The local audience speculated that that reserve must have been at least $900,000 if not a little more given the million plus sale just three doors away. In the end there was no deal on the day. It seemed that the bidders were in for the cheaper deal and no-one amongst the four bidders was prepared to match the current surge in sale prices here in middle Dickson. The fourth bidder did not bid at all. Everyone agreed that the reserve price was about right. And it took a very short time for the ever-efficient Luton of Dickson staff to relist the house for the sale price of $919,000. Yes – we expect that there will be a couple of buyers in for at least that price very soon. As with previous auctions, the neighbourhood was well represented at this event. Besides being of interest to other house owners, these sales have become a bit of the local entertainment. The neighbourhood is definitely changing. Families are coming and going, houses being constantly renovated, and there are several knock-downs/ rebuilds under way in the immediate area. So we wait for the next auction action in middle Dickson.